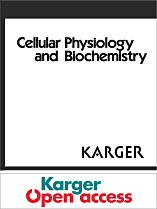 The Editor and Publisher of Cellular Physiology and Biochemistry wish to state that the following article has been retracted from the Journal due to fabrication. The 2012 paper has been cited seven times, according to Thomson Reuters Web of Knowledge. The original article does not appear to be online, despite retraction guidelines from the Committee on Publication Ethics. This paper is not a unique case: We’ve seen third party companies botch papers frequently enough that we added a “third party” category in which to file new instances. A student who was assigned to finish that part experiment. But He pass this job to [the company]. We confirmed the fabrication due to two errors on the figures relating to immunofluorescence photos used in the paper. The immunofluorescence has been finished by a chinese cellular biology company. They provide fake photos…and copy photos from D.Stupack’ manuscript in Cancer research…After negotiation and investigation, we decided to retract our paper due to fabrication. Ren added that they are redoing some experiments, to check original data. Then, we asked the academic committee of Xi’an jiaotong university to postpone the [student’s] graduation of PhD by two years. The PhD student was the only author who pass the job to a company. He signed the contract with company, but he did not tell me. After investigation, he told me that. Initially, I wanna dismiss him through application to academic committee. But I changed my mind to delay PhD for two years, because the student has finished other jobs quickly and excellently. I wanna give him a chance to redo the immunofluorescent job and correct his mistake by himself. The supervisor has the right to decide the time [length] to delay without need to apply for academic committee. Ren told us that the company is Huaao Biology Corp., Shaanxi province in China. He could not provide a website for the company, and we were unable to find further information. Florian Lang, managing editor of the journal, declined to comment on the specifics of the retraction, but he confirmed that, to the best of his knowledge, the issues in the paper came from a third party company. We have reached out to the university, and will update this post with anything else we learn. I have no school mail actually due to a troublesome process to apply for school mail. Ren did email us via a few other accounts from free providers, one of which had the handle “renhongs2000,” which has been associated with him on several papers. money trying to duplicate these results. There are a whole bunch of very dodgy companies out there, who promise to help students, but who do horrible work and rip people off. I’m concerned about what a “part of an experiment” actually represents. If the student graduation is postponed by two years, I’m afraid that a significant part of the experimental work was done by a third party. Say, 50% of the Thesis. I was under the impression that students enroll in PhD programs for doing some useful job, not for passing the tedious works to dubious companies. At times it is not possible for a student to complete all research themselves. It may require equipment or skills that they don’t have. For example much medical research requires statistical skills that a researcher doesn’t have. The important aspect is that this is made clear in the thesis. One troubling aspect is that journal articles don’t require the same transparency. Evidently they share the e-address. There are papers with Yang Zhao as the corresponding author (and no Hong Ren), and a few with Hong Ren as the corresponding author (without Yang Zhao), using the one address; but generally both are collaborators. The Frau Doktorin and I used to share a single e-address. Before that we corresponded with pigeon-post. Before that it was all clay tablets. What caught my eye was the bit about “…postpone the [student’s] graduation of PhD by two years.” That sounds strange. I thought a PhD was done when the work was done, not when the student’s supervisor had gotten a sufficient number of hours of low-cost labour. The ‘punishment’ for scientific misconduct shouldn’t be the arbitrary addition of years to the PhD candidate’s ‘prison sentence’. This might be a langauge barrier issue in play, so maybe it’s just an estimate of the time required to complete, rather than a firm date–but…ick. While the law relates to new drug applications, not scientific publications, the 80% gives some sense of the scope of the problem.